When it comes to technology, new products and updated models seem to come out every few months. But, keeping up with the latest technology is not only expensive, it can also be unnecessary – often these newer versions contain only minor changes, such as a larger LCD monitor or slightly more storage space. Unless your work requires absolute top-speed performance (or you just love showing off your shiny new gadgets), you can usually get everything you need from a computer for several years before replacing it. Personal timelines may very, but if properly cared for, computers can – and should – last for multiple years. One of the most common reasons people decide to get rid of their old PC in favor of a new version is that their computer begins to run slower than usual. But, sluggishness can be result of countless problems – old software, a virus or a system bogged down by downloads that take up substantial space on the hard drive. Instead of writing your device off as "old," check for available software updates, run a virus scan and take your computer to a local computer repair center.Since your computer problems could be solved by the purging of your Trash folder or a comprehensive virus removal, this measure is almost always more cost-effective than buying a new computer. Another factor to consider while you're salivating over the latest hot pink ultrabook is what you actually use your computer to do. If your job requires your computer to have the latest software, intricate graphics or video or coding programs, perhaps upgrading more often is worth the extra costs. But, for many people, computers are used for email, word processing, Web surfing and entertainment. 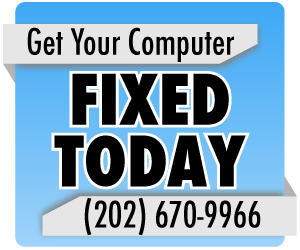 If so, try taking your device to your local Maryland computer repair center first – your computer may not be the hottest model on the block, but it's still got a lot to offer.